ABRN and Butler Community College partnered together to provide this ABRN HOW2 training video. In this video we are going to demonstrate how to perform dent repair by useing the new Magna-Spot stud welder gun made by Motor Guard. The new gun is used with the same technique; however, it has a few new features that we will demonstrate. Where Can I Purchase One Online? Amazon – Amazon has these at the lowest cost I have found. 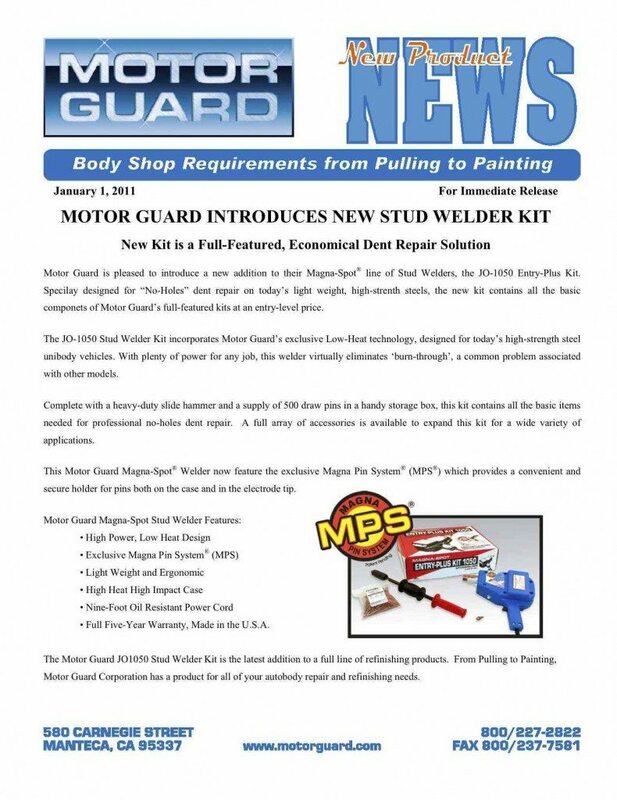 You can also check with your local Motor Guard Distributor. 1. Remove coating (grinder or dual action sander) sanding takes longer, but it much safer with today’s thin metals. 4. Pull direct damage last. 6. Grind or sand 4″ past damage area to provide a area to apply filler without overlapping paint with filler. 7. Blow repair area off with compressed area. Now you are ready to apply your body filler, block, prime, block, and get ready for paint. LEARN HOW TO AVOID COMMON MISTAKES WHEN APPLYING AND SANDING BODY FILLER. Visit Our Auto Body Filler Training Page.